Not everything old has to be new again. But don&apos;t tell that to Sony. At the 2015 Consumer Electronic Show in Las Vegas, the electronic behemoth announced they&apos;re bringing back the Walkman. Yes, the Walkman, the iconic portable music player best associated with uncomfortable earphones and blasting &apos;90s boy bands. But this time, it&apos;s getting a few major upgrades and a majorly upgraded price. 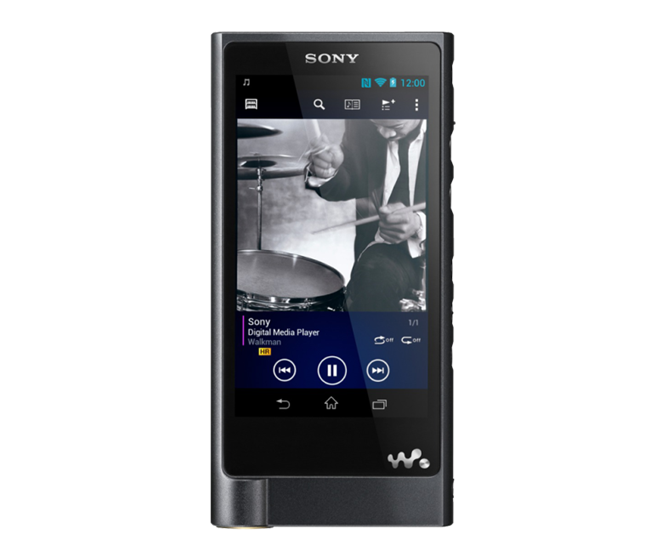 The device: With a super-high resolution, the Sony Walkman ZX2 is aimed at high-end audiophiles, which makes sense, because they&apos;re probably the only people willing to pay the hefty price tag of $1,119.99. As CNN Money points out, unlike streaming MP3s or CDs in which the songs are compressed into small files, the ZX2 will be able to handle larger file formats like FLAC and Lossless data compression. The sleek, all-black device contains a spacious 128 GB of memory, which can hold up to 2,000 high-quality songs. There&apos;s a micro SD slot to hold even more music once the internal hard drive fills up, and the new Walkman is Wi-Fi capable. Oddly, the software is a nearly two-year-old version of Android, so it likely won&apos;t compete with your smartphone, Business Insider notes. But given the emphasis on music-playing, the device probably isn&apos;t aimed at consumers looking for an all-in-one smart device. I love the new ZX2. I love the texture of its matte black casing. I love the playback buttons carved into its curved side — in the little time I&apos;ve had to hold the device, my fingers curled right onto the play, pause and rewind. It&apos;s heavier than you&apos;d initially expect, in a good way. It&apos;s solid. But we can&apos;t get over that price. It&apos;s a drastic difference from the $150 the Walkman cost when it first hit the market in 1979, and also considerably more that the Neil Young-backed Pono player, another hi-def music player that retails for $399. However, Sony&apos;s strategy of aiming for the luxury sector is smart, since Apple&apos;s iPod and iPhones have mostly monopolized the low-cost market. Sony also claims the audio technology "can reproduce master-quality recordings, just as the artists originally intended." For the company&apos;s sake, hopefully the ZX2 can reproduce some blockbuster profits that the company desperately needs. "This Walkman is tailored for outstanding sound, and every piece of material and component has been crafted to realize the ultimate high-res audio experience on the move," a spokesman said at CES. Whither the Walkman? To be clear, this isn&apos;t the first time Sony has dragged out the Walkman brand and slapped it on a portable music device — it&apos;s just the most ambitious. The company has sold Walkman-branded MP3 players, earbuds and even phones, but nothing like this, which is a full-on rethinking of the iconic device that doesn&apos;t look shoddily produced. The brand-new new-new Walkman will hit store shelves this spring.